It’s back to school for bands in the L.A. area, as musicians try out new songs at these free (or low-cost) residencies in September. It’s back to school—the school of rock, that is—for bands in the Los Angeles area, as musicians try out new songs, celebrate milestones, and keep the drinks flowing at these free (or low-cost) residencies in September. Coming off a summer tour supporting its new album Love Sign, the five-piece recently contributed a cover of Sleater-Kinney’s “You’re No Rock N’ Roll Fun” for AV Club’s “Undercover” series. Think: The power pop of Weezer or early New Pornographers. Celebrating the release of the pop and R&B singer’s new album, Lip Service, this is Waters’ second residency in 10 months. He played the dearly-departed Central Social Aid and Pleasure Club in December of 2012. Think: A more soul-influenced version of Maroon 5 frontman Adam Levine. The first night of Dear Boy’s residency will serve as a record release party for the L.A. quartet’s self-titled EP. The song “Oh So Quiet” has already hit #3 on KROQ’s “Locals Only” countdown. Think: A poppier – but only slightly – version of Death Cab For Cutie. Fire in the Hamptons will be using the residency shows to promote its Kickstarter campaign meant to fund a new album, while Deluka is back playing live after DJing at the Electric Daisy Carnival in June. Think: Anything from the Black Keys to M83, depending on the track (Fire in the Hamptons), and Garbage if the electro-rockers didn’t care at all about the top 40 (Deluka). 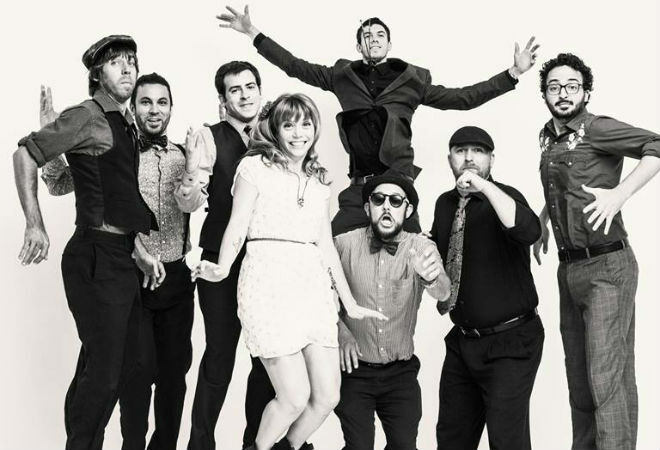 The Mint loves the local roots and jazz collective, booking Dustbowl Revival for another residency after a successful run back in May. This time, the Mid-City restaurant and bar is giving over Wednesdays in September and October to the Venice-based band. Think: A natural opening act for The Lumineers or Mumford and Sons.